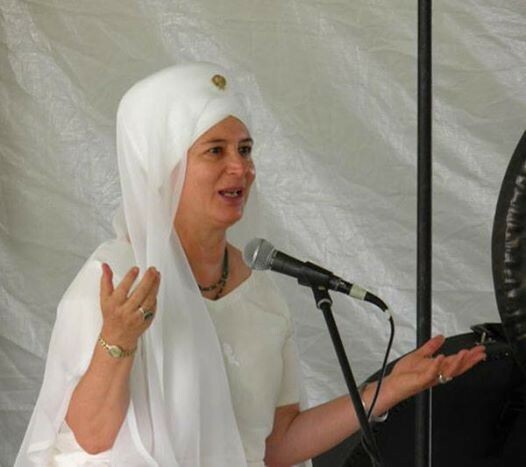 Shanti Shanti Kaur Khalsa, PhD, C-IAYT, YACEP, aligns the ancient teachings of Kundalini Yoga with modern medicine as Founding Director of the Guru Ram Das Center for Medicine & Humanology. Under the guidance of Yogi Bhajan she developed and directs the 1,000 hour IAYT accredited International Kundalini Yoga Therapy Professional Training. A Kundalini Yoga teacher since 1971, Dr. Khalsa began to specialize in teaching Kundalini Yoga and Meditation to people with chronic or life threatening illness and their family members in 1986, under the direction of Yogi Bhajan. She is a Certified Yoga Therapist, a Mentoring Lead Trainer for Levels 1 and 2 Kundalini Yoga teacher training, a Medical Family therapist, and a charter member of the International Association of Yoga Therapists. Her Kundalini Yoga program for people living with HIV is featured in the book, Yoga as Medicine by Timothy McCall, MD, and her groundbreaking work as a Kundalini Yoga Therapist is featured in the book, Yoga Therapy and Integrative Medicine: Where Ancient Science Modern Medicine.